WHERE DO I GO FOR FREE SUPPORT? Tutoring in the Library on Tues and Thurs at 12pm. Tutoring in the TLC, room C503. For the upcoming Wednesdays, a very special Speak Up opportunity --Improv with Natasha!!! Improve your confidence, pronunciation and speaking skills in a fun and active Drama workshop. ***And for level 3-5 students--Babak is repeating his Intro to PPT workshop, tomorrow, February 14th to be held in D318 from 3-4pm. Get tips on how to structure your PPT, a presentation tool that you will need throughout your academic career. 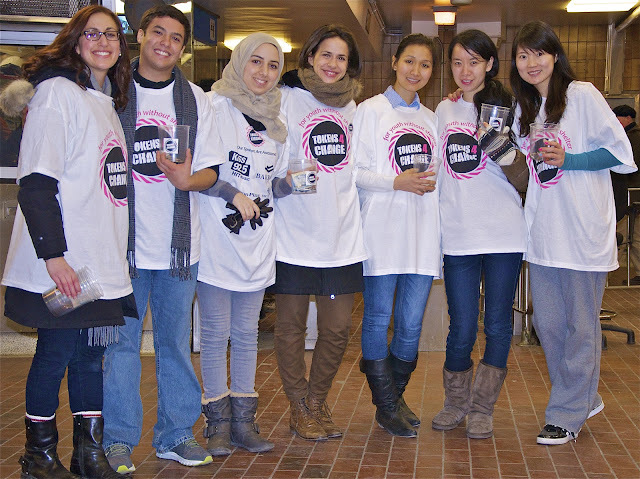 Way to go to our GBC ESL volunteers who assisted at the Tokens4 Change Event last Friday. $67,500 was raised to support Youth Without Shelter, an organization that raises funds for homeless youth in Toronto!! Together, we helped raise DOUBLE the amount raised last year! You really made a difference, Diego, Kinjal, Xuan, Vivian, June and Imane!! 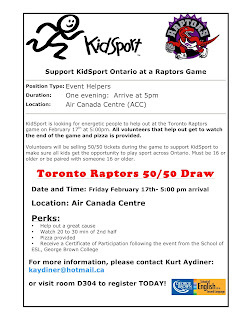 Volunteer Events Coming Up: Sign up with Kurt TODAY!!! 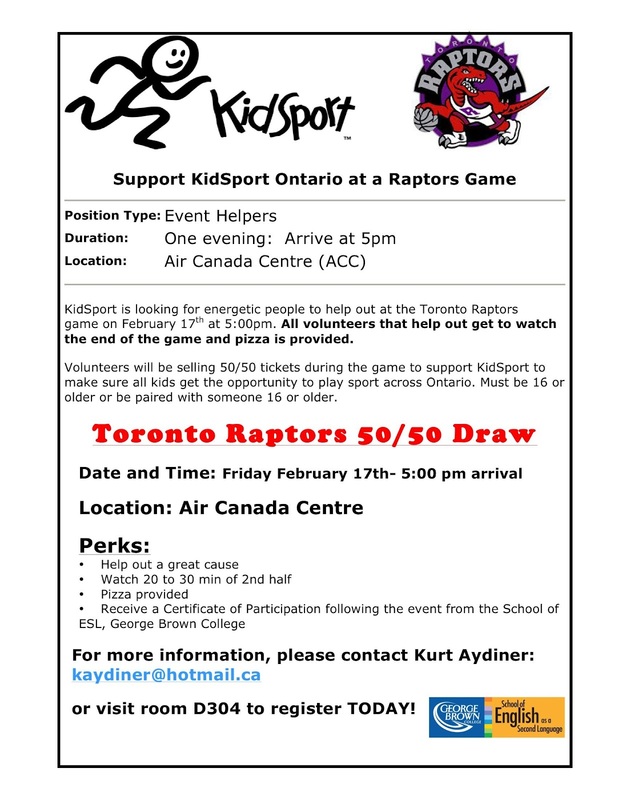 Sell tickets at the Raptors game to support Kidsport and ensure that all kids get the opportunity to play sport across Ontario. An Information Session will be held at The Toronto Metro Convention Centre March 29, 2012 at 6:00 pm note: only for Students in level 5 and above. Be an Information Ambassador for Doors Open and the City of Toronto! 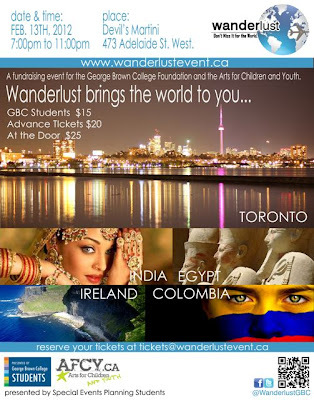 A FANTASTIC OPPORTUNITY TO MINGLE, LEARN ABOUT OTHER CULTURES AND HAVE A BLAST! Proceeds from Wanderlust support a student scholarship administered by the George Brown College Foundation.